How did the neighborhoods & boroughs get their names? Manhattan derives from the word Manna-hata, as written in the 1609 logbook on Henry Hudson’s yacht and a 1610 which references Manahata twice. The word “Manhattan” has been translated as “island of many hills” from the Lenape language. Brooklyn is derived from the original Dutch colonial name Breuckelen, meaning marshland. Established in 1646, the name first appeared in print in 1663. The Dutch colonists named it after the scenic town of Breukelen, Netherlands. Queens is named for Queen Catherine, wife of King Charles and was one of the original counties of New York, formed (and named) in 1683, by the British. The Bronx is named after Jonas Bronck, who established the area’s first settlement as part of the New Netherland colony in 1639, displacing the the native Lenape in 1643. Staten Island came about in 1609 as the Dutch named the island Staaten Eylandt (literally “States Island”) in honor of the Dutch parliament, which is still called Staten-Generaal (“States General”). Greenwich comes for the Dutch word “Greenwijck” which means “Pine District.” A Dutch man named Yellis Mandeville purchased a large swath of property in the Village. He allegedly renamed the area, as documented in his will, to Greenwijck in the early 1700s, and it has since been Anglicized to Greenwich. The Meatpacking District came about a bit later. In the late 1800s, New York decided to name two acres of lower Manhattan’s west side after General Gansevoort. 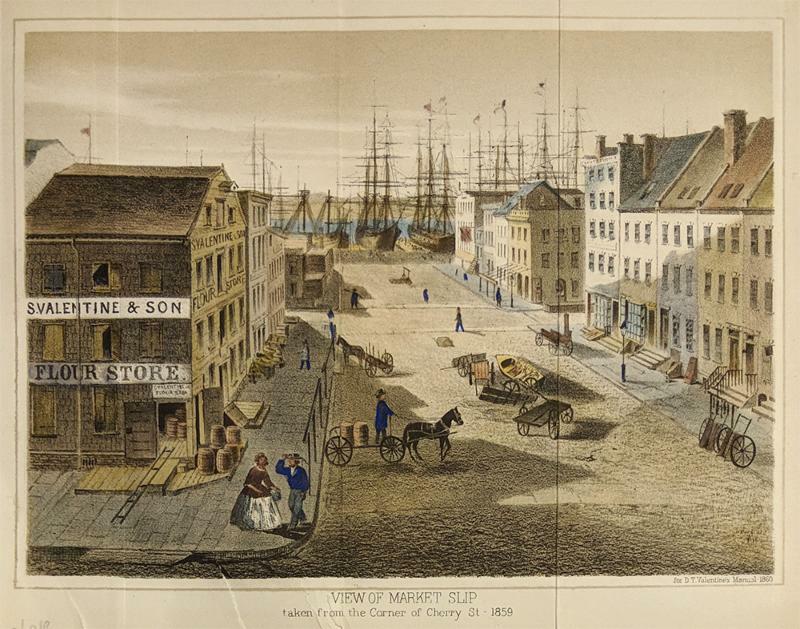 This area became a commercial district, known as Gansevoort Market. By 1900, the market would boast more than 250 slaughterhouses and meatpacking plants. Hence, Meatpacking District and the always classy Gansevoort Hotel. Times Square came about in 1904 when the New York Times moved its headquarters to then-named Long Acre Square – the owner of the Times strongly encouraged the Mayor at the time to adopt the name change in honor of the paper. Chelsea came about right after the Revolution when retired British Major Thomas Clarke bought 94 acres located in what is now Chelsea and named it “Chelsea,” after a veterans’ hospital and retirement home for elderly soldiers located in Britain. Turtle Bay was a piece of farmland given from a Dutch governor to a few Englishmen in 1639, which apparently had a very active creek with tons of turtles so the farm was named Turtle Bay Farm. Somehow, in the last almost 400 years, no one has thought of a better name. Murray Hill, the modern frat boy haven, can be blamed on the Quaker Robert Murray who purchased what used to be a very large hill on modern day 36th and Park in the 1760s. Goddammit, Robert.